As someone who started his career in newspaper, former MSU vice president Keith Kappes (70, 73) swore he would get back into the journalism business in some fashion. When he went from being a hard news reporter to a columnist, he had his motivations. “I felt for a longtime that everybody was entitled to my opinion,” he joked. Now, Kappes has a collection of columns titled “The View From My Keyboard,” which was published this February through the Jesse Stuart Foundation Inc. In addition to being available for purchase at Amazon and other outlets, he will have a book-signing event and reading of his work from 1 to 3 p.m. Saturday, April 13, at CoffeeTree Books in Morehead. A native of Carter County and resident of Morehead, Kappes spent much of his college career as a reporter. He wrote for the The Daily Independent in Ashland, the Ironton Tribune in Ironton, Ohio, and The Herald-Dispatch in Huntington, West Virginia, and later served as an Associated Press reporter in Ohio. After attending both Ashland Community College in Ashland and Marshall University in Huntington, Kappes transferred to MSU in 1969 and took a job with the campus news bureau while earning a bachelor’s degree in journalism a year later. He furthered his education at MSU by earning a master’s degree in higher education administration in 1973. 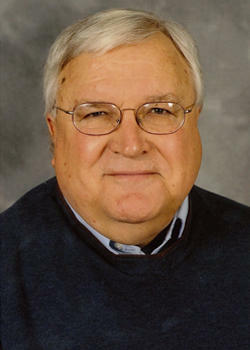 Kappes held 13 different titles with MSU over 40 years and spent two decades as the vice president of university relations. Upon his retirement in 2008, Kappes became the publisher of The Morehead News, the Grayson Journal-Enquirer and the Olive Hill Times, for which he also served as a regular newspaper columnist. He has won national and statewide awards for excellence in personal commentary. Even after he retired from full-time employment in 2016, he continued to write editorials and his personal column for another three years. For “The View From My Keyboard," Kappes selected 125 personal columns that received the most reader feedback from approximately 450 he has written over the years. He said the collection is “a smorgasbord of life lessons” broken up into categories like family, humor and military life. In his columns, he touches on everything from his time teaching classes to prison inmates to the time his grandson attempted to name his newest pet frog. Kappes said some of his columns come from a personal place while others were thrown together to meet a pressing deadline. Regardless of how they materialized, he was consistently surprised about how his words managed to inspire action, change minds and touch hearts for appreciative readers in Eastern Kentucky and Appalachia. Morehead State University’s Senior Medicare Patrol (SMP) recently implemented a new project to bring awareness and recognition to its volunteers and their Kentucky roots. Kentucky SMP worked with Louisville-based mural artists Often Seen Rarely Spoken (OSRS) to bring together these images and create a series or murals across Kentucky. Morehead State University’s esteemed music program will welcome a successful professional musician to share his musical experience, knowledge and talent with students and the community. Steven Middleton said there were two things he wanted to do with his life: make movies and play music. So, that’s what he did. Middleton has now produced 12 documentaries, most of them centered around Appalachian culture.